← Happy Birthday, Gabriel García Márquez! I was so close to loving Ana Castillo’s 1993 novel So Far From God. 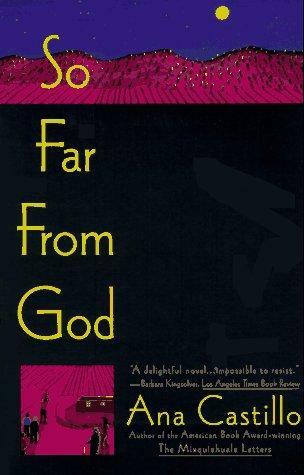 So Far From God takes place in a small village in New Mexico, where Sofi is taking care of her four daughters after her husband Domingo has left her. There’s Esperanza, the oldest daughter who works as a television reporter in the Middle East; Fe, who suffers a nervous breakdown when her engagement ends; Caridad, who is attacked by a mysterious creature, ends up living in a cave and becomes a saint to villagers because they believe she has special powers; and La Loca, who dies as an toddler, but wakes up during her own funeral and lands on the church’s roof. And that’s just the first four chapters, folks. This book reminded me of Julia Alvarez’s How the Garcia Girls Lost Their Accents, which also focused on four daughters in a non-linear story. But Garcia Girls is a realistic book and, if you couldn’t tell already, So Far From God uses vast amounts of magic realism and myth. Sofi is the backbone of the family, running the family’s carnicería and even becoming the leader of her small village. Castillo keeps a light, conversational tone throughout the book even when the women suffer through some terrible tragedies. I enjoyed the stories and I liked Castillo’s sense of humor. But Castillo packs so much into her sentences that I had to reread them and hunt for the verb. I was also annoyed by her frequent use of double negatives. I would accept this – reluctantly – if the book had a strong first person narrator or if it was used in the dialogue, but I didn’t think they were necessary. In fact, wanted to stab the book with a red pen so the double negatives would bleed to death. So, I just liked So Far From God when I could have loved it. 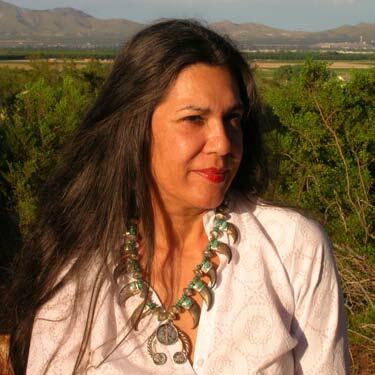 • Ana Castillo is a Mexican-American author who has written numerous books and poems, including 1992’s The Mixquiahuala Letters and 1999’s Peel My Love Like an Onion. Her next book, The Last Goddess Standing, is expected to come out later this year. This book is third in the series of classic books by Latina authors. Next month: Loving Pedro Infante by Denise Chávez.